Tom Middendorp. 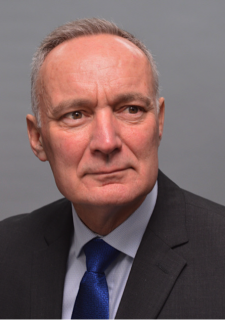 Former Commander of the Armed Forces Tom Middendorp has been actively involved in the settlement of dozens of conflicts worldwide. His comments on climate change as a threat to world peace drew a lot of attention. How did he come to this insight and how does he feel that we need to work together globally in the area of ​​climate change? Vera Bukachi. 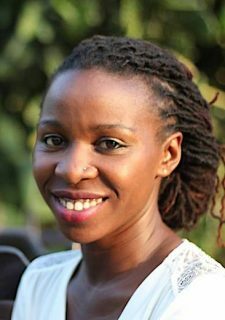 Vera Bukachi is the Research Director and co-lead of KDI Kenya. KDI works with local residents to transform unsafe and under-used sites into “Productive Public Spaces”. Her talk will give the perspective of KDI’s work and how it contributes to planetary security through the eyes of girls and women. The talk will demonstrate the interplay between climate security and the work with women in Kibera, a slum in Nairobi. Adnan Z. Amin. 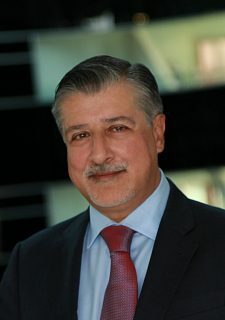 Adnan Z. Amin is the General-Director of IRENA, the International Renewable Energy Agency. The mission of IRENA is to support countries in their transition to renewable energy. In his talk, Adnan Z. Amin will focus on what we can do to accelerate renewable energy deployment to deliver a climate safe world. And how renewable energy can strengthen climate resilience. Moderator is Borzou Daragahi, an International Correspondent for The Independent. He has been covering the Middle East, North Africa, South Asia, and Europe since 2002, with stints in Tehran, Baghdad, Beirut, Cairo, and now Istanbul. He has been a Pulitzer Prize finalist three times.